So, Little Lord Trump ordered the US Navy to fire off 59 tomahawk missiles at a relatively abandoned Syrian airbase Thursday night in response to poison gas attacks by the Assad regime that killed scores of Syrian civilians earlier this week. Yes, you read correctly, the airbase was abandoned. Meaning, one Syrian solider is reported dead and only a dozen or so Syrian planes were destroyed. What makes this glorified fireworks display all the more trifling is that tomahawk missiles cost roughly $832,000 a piece. Now, Ol’ Hobbs is no math genius, but my calculation is that close to 50 million of our hard-earned taxed dollars were spent to accomplish nothing as far as crippling Assad’s ability to launch another poison gas attack. For what it is worth, that money would have been better spent helping to ease the suffering of Syrian refugees, but that would cut against the “extreme vetting” and “Build that wall” isolationism that Trump espouses to the delight of his adoring fans. What makes this 50 million dollars fireworks show bizarrely amusing is that Little Lord Trump actually thinks that he appeared tough and presidential last night while fulfilling his campaign promises to make America’s enemies “fear us again.” The big problem, folks, is that Lord Trump refuses to acknowledge the ghost of enemies past that remains the clear and dangerous enemy present, which is Russia. You see, while the Little Lord was playing toy soldier in the 1960s, men like my late father, then Army Captain Charles Hobbs, were fighting Soviet Union styled communism in the jungles of Vietnam. One of my earliest memories of sitting in my father’s office at Fort Benning in the mid-70s until he retired in ’83 was a framed picture that bore the uniforms and insignia of each of the Warsaw Pact nations beholden to the Soviet Union. Dad and other military men in his generation fully understood who the enemy was, and while the reduction of a global nuclear war through Glasnost, Perestroika and detente due to the efforts of former President Ronald Reagan and former Soviet Premier Mikhail Gorbachev pleased him, dad went to his grave not trusting communists or Russians one damned bit. But the Vietnam draft dodgers like Republicans George W. Bush, one who “looked into (Russian dictator Vladimir) Putin’s soul” and found him to be a decent man, and now Trump, whose relationship with Putin is still extremely suspect and has yet to be fully vetted, both were/are far too trusting of Putin. Trump, in particular, is blinded by the lies that are old hallmarks of the Soviet regime, like the one Putin’s spokesman Demitri Peskov told this morning that “The Syrian Army has no chemical weapons at its disposal;” most Americans with an ounce of common sense will view this comment as merely another lie told to advance Russia’s aims to keep Assad in office. What is worse is that the Little Lord is so deferential to Putin and so trusting of his lies that Russia was tipped off to the fireworks show in advance, thus allowing them to tell their Syrian allies to bail out. For some reason, I cannot imagine former Republican warrior- presidents like Ulysees Grant, Teddy Roosevelt or Dwight Eisenhower tipping off their enemies before beating them into submission. 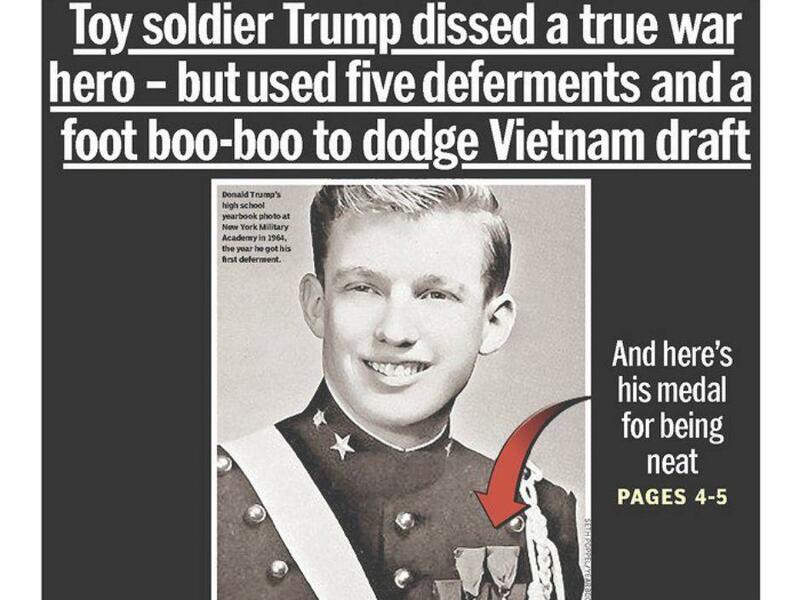 But the Little Lord is no warrior-president, rather, he is a spoiled little rich boy who played toy soldier as a kid, earned admission into the Ivy League not because of any “bigly” academic acumen but because his daddy was rich, and one who missed an opportunity to understand the costs of war when many of his peers were learning it the hard way in Southeast Asia in the 1960s. That is why his tough talk is comical to anyone who knows that his finely manicured small hands likely have never even struck another man in hostility or self-defense in his life.